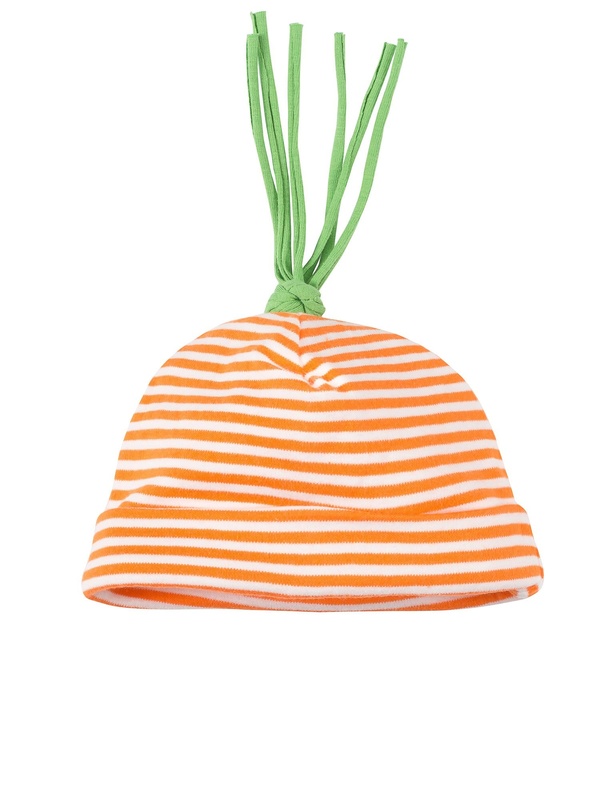 A unisex organic cotton baby knit beanie with orange and white stripes and green tassels on the top of the beanie. 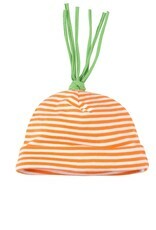 Made to fit close and snug to baby's head for extra warmth and comfort with the perfect amount of stretch. 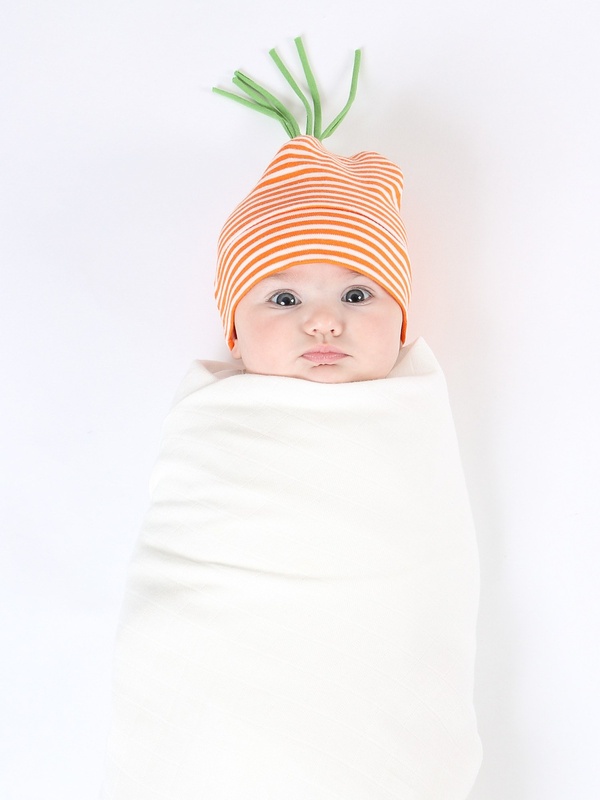 Coordinates perfectly with our carrot footie! 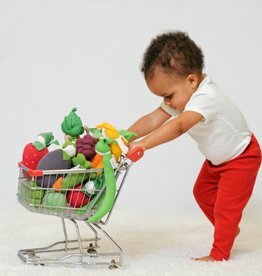 Ethically made in Certified Fair Trade facilities that adhere to the highest global textile and labor standards to ensure that the people who make the goods are treated well and paid fairly.